Starring the voices of Tom Hanks, Tim Allen, Don Rickles, Jim Varney, Wallace Shawn, John Ratzenberger, Annie Potts, Laurie Metcalf, R. Lee Ermey, Penn Jillette, and John Morris. Directed by John Lasseter. Included with Toy Story is a one sheet for Sleeping Beauty (Buena Vista International, R-1995) SS Advance. 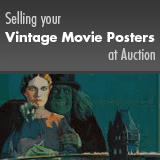 Unrestored posters with bright color and a clean overall appearance. They may have general signs of use, such as slight edge wear, light creases, faint surface scuffs, or very minor tears. A Walt Disney production. Rolled, Very Fine.